Gain Lifetime Personal Access to All Backing Tracks! Through a special agreement, you can have personal access to all blues backing tracks when you purchase a copy of the Pro Guitar Method Pro Speed Picking course! More products will be added over time, but for only $17 you can have lifetime access to all products. 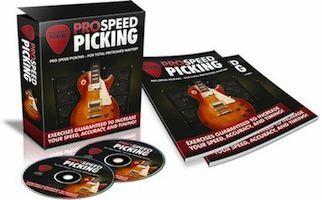 The Pro Speed Picking course includes over a hundred exercises complete with audio. The exercises are devoted to a wide range of guitar techniques, including alternate picking, sweep picking, string skipping, and more! 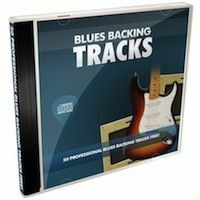 As a special bonus, you will be able to download all 52 blues backing tracks featured on this site! In addition, you will receive any additional backing tracks we add to the site for no additional charge. Here's how it works. You pay through Paypal using the link below. After we receive your payment, you will be added to a special members area on this site. Once we add you to the site, you will receive an email with login details allowing you to download the above items.